*€4.5million investment further enhances the DHL Express operations in Ireland. 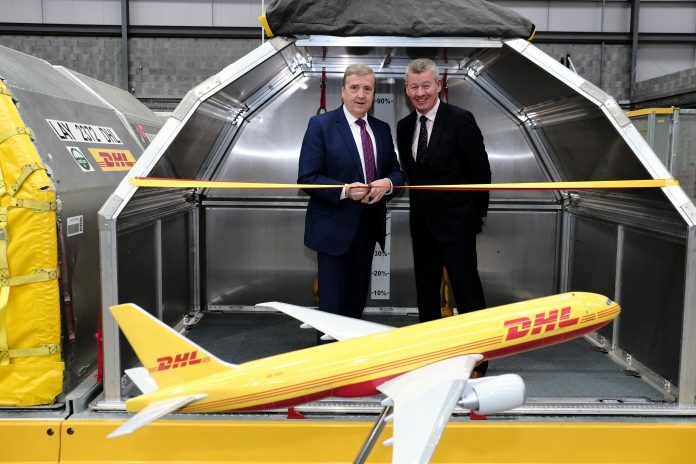 The new purpose-built DHL Express facility near Shannon Airport was officially opened by Minister of State for Trade, Employment, Business, EU Digital Single Market & Data Protection, Pat Breen TD. 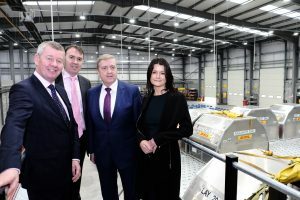 Located at the Western Business Park, Shannon, the new premises represents an investment of over €4.5m, and will service DHL Express customers across Clare, Galway, Limerick, Tipperary and Kerry. The purpose-built facility is strategically located adjacent to Shannon Airport and close to the national road network. Servicing exporting and importing companies across the Shannon and Midwest region, shipments for delivery to and from the more than 220 countries serviced by DHL are consolidated on airline containers for direct connection to DHL’s Boeing 757 charter flight which operates to and from Shannon Airport on a daily basis.